Opening February 2017, the Mick Drive parking garage will provide 934 spaces throughout 8 levels on Mick Drive, just a half mile from the center of town and Rowan University. 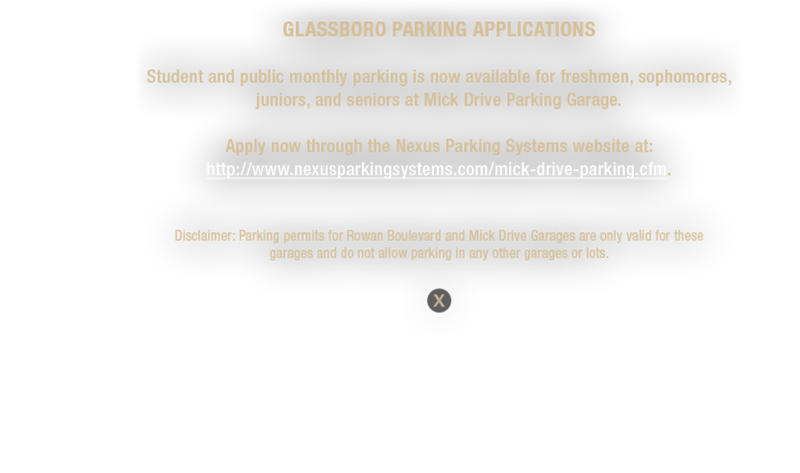 Parking in Downtown Glassboro comes with many options to provide convenience to the community. Students and employees will be able to use the Mick Drive garage. 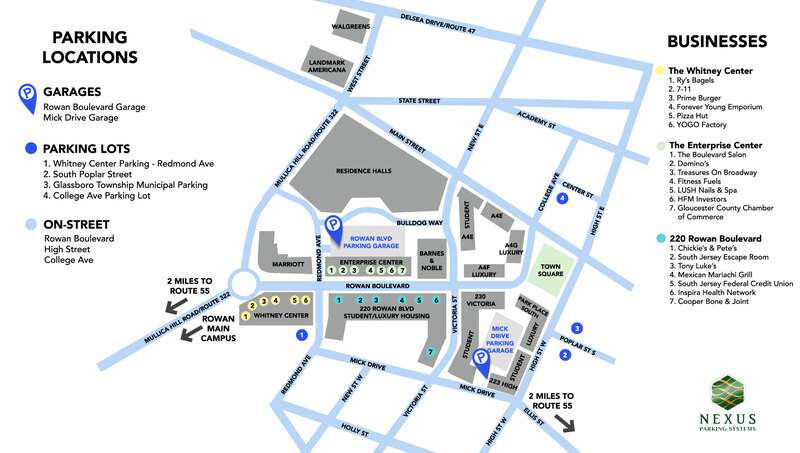 The Rowan Boulevard parking garage has 1,194 spaces located on Redmond Avenue can be used for retail parking for restaurants and shops as well as The Courtyard by Marriott Hotel parking. 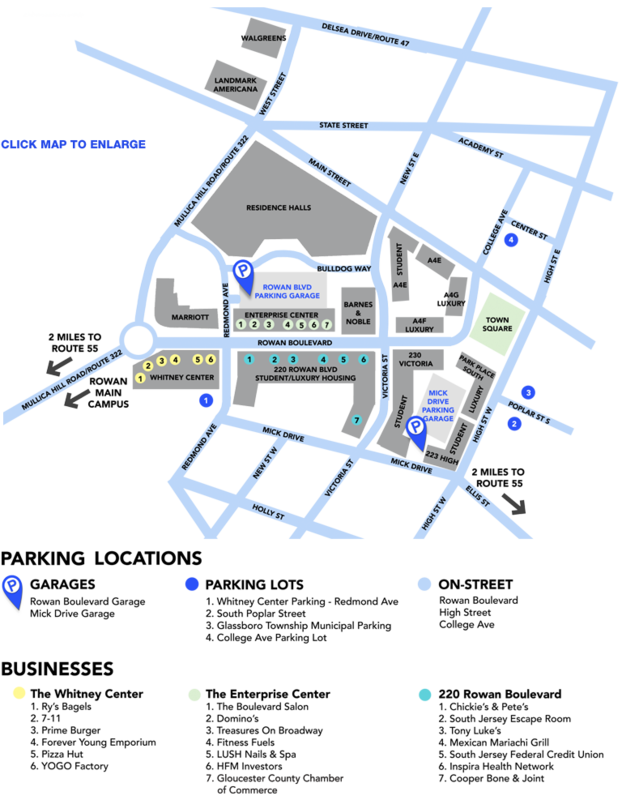 Both garages provide daily, overnight and monthly parking for short and long term parking. 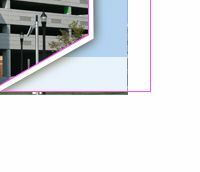 Blue parking pin signs will be mounted to the front of the garages to symbolize the parking destination. Specific retail stores will be able to validate tickets over 2 hours, which will be indicated by a sign on the storefront.